Jenny Buckley is the latest hire announced by the new Irish station. 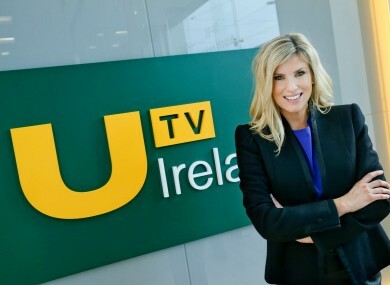 UTV IRELAND HAS announced its latest hire 10 days before the station goes to air – that of weather presenter Jenny Buckley. The actress-turned TV host will be seen on the station every weekday after its news and current affairs programmes, Ireland Live and Ireland Live at 10. She joins Ireland’s newest station, which is due to launch on New Year’s Day, after previously working as a presenter on the then-Channel 6 and RTÉ. Buckley started out as an actress and had small parts in a few films and TV series, and has done voice-over work for UPC, Bank of Ireland and Dunnes Stores, among others. She said she had followed UTV Ireland’s story since the station was announced and she had been keen to get involved. The channel’s HD studios and headquarters are hugely impressive and, having met the whole team, I am counting down the days until we launch on 1 January,” she said. UTV Ireland channel head Mary Curtis said the station had recruited some of the best journalists and broadcasters in the industry ahead of its launch. We have been doing a number of screen tests for weather in recent weeks and Jenny’s strong presence and warm personality shine through on camera,” she said. Big hire Pat Kenny, who has been the main face of the new station through the year, will return to TV with a 1-hour special on New Year’s Day and a new series from March. He recently told TheJournal.ie his show was “still in the melting pot” but it would involve an audience and guests. The station has set its target as being Ireland’s second most-watched channel after RTÉ1 – although its main rival at launch will be TV3. Email “This actress, presenter and voice-over artist will be the face of UTV weather in 10 days”. Feedback on “This actress, presenter and voice-over artist will be the face of UTV weather in 10 days”.